Romania’s Prime Minister Victor Ponta risks all. 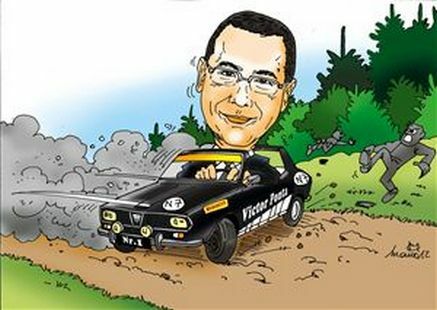 Victor Ponta has a taste for the political ambush. In 2010, he won the leadership of Romania’s Social Democrats (PSD) within five days of announcing his candidacy. This summer, in the space of four days, he used his position as his country’s stop-gap prime minister to suspend the president and remove the speakers of parliament and the national ombudsman. Ponta is clearly a man who strikes fast and effectively. To have become a prime minister at 39 also suggests an astute, calculating brain. Yet within weeks of President Traian Basescu’s suspension, the European Commission – and, crucially, Germany’s Social Democrats – forced him to issue a mea culpa in the form of 11 promises of corrective action. Somehow, a man who has a decade of political contacts with the European Union, and whose wife is a member of the European Parliament, had misjudged the EU. A polyglot who speaks English, French and Italian, Ponta comes from a modest family that had moved from southern Romania to Bucharest. Vladimir Tismaneanu, a professor at the University of Maryland, recalls Ponta as the leader of the PSD’s youth wing as a “flamboyant leftist militant with an unabashed admiration for Che Guevera” and some admiration for Chinese communism. “I thought he was a relatively naïve east European leftist”, he says, though Ponta was already the head of the Government Audit Agency. That post was a gift offered in 2001 to the young lawyer by Adrian Na?stase, the then prime minister. Ponta did not make his name as a corruption-fighter, though; rather the reverse. The WikiLeaks cache of US diplomatic cables contains one from 2010 that states that Ponta came to be seen as “a staunch opponent of actual judicial reform”. The European Commission did not realise that early enough: in 2002, the Commission’s anti-fraud office (OLAF) made Ponta its main point of liaison with the government, a status that, according to the British academic Tom Gallagher, he used to dissuade OLAF from investigations. Ponta also clashed with someone who was eager for actual judicial reform, Monica Macovei, who served as justice minister in 2004-07. In a leaked cable, a US diplomat talks of Ponta’s “hatred” for Macovei being “notorious”. Macovei, who is now an MEP, says Ponta actively led the defence in parliament against prosecution of Nastase for corruption. Gallagher recalls Ponta as being “unusually arrogant and non-rule-bound”, with “an incredible degree of self-belief and a really powerful ego”. Other accounts suggest Ponta is bruising, fickle and vain, with scant regard for the separation of powers and an ability, as one Romanian journalist has put it, to lie very sincerely (though Corina Cretu, an MEP from Ponta’s party, says “honesty is his main quality”). Such traits did not harm him with Nastase. He would later also forge a working relationship with Nastase’s successor as party leader, Mircea Geoana, though accounts of their closeness vary. Read more in the European Voice.